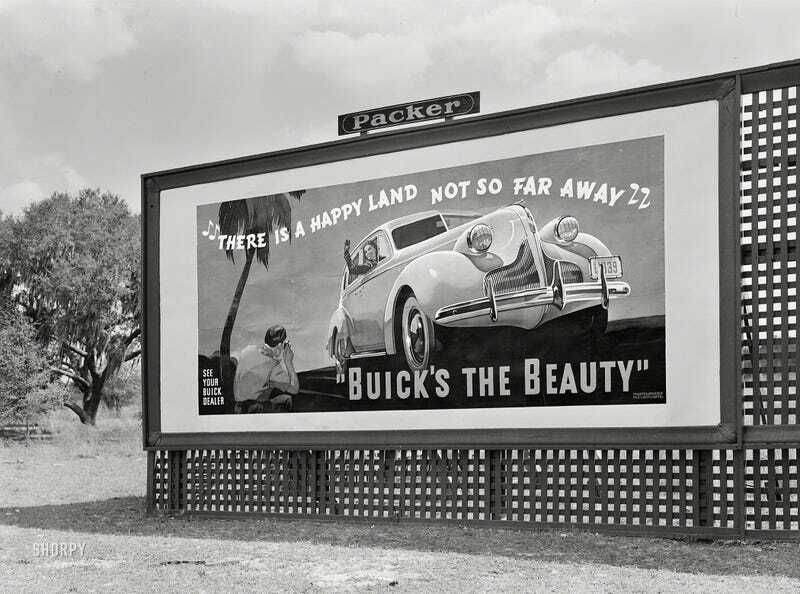 I’m not certain, but I believe that the ad slogan is a reference to an old hymn from the Sacred Harp tradition called “Happy Land.” The Sacred Harp tradition of church singing dates back to the mid-1800s, and was an offshoot of traditions that began even a hundred years before that. The “shape note” hymns were meant to be sung a cappella (unaccompanied) by parishioners sitting in a square and facing one another, and the best known collection of these hymns was published as Southern Harmony in 1835. Below is a performance of Happy Land, with the congregation seated as they would have been back in the day. Sacred Harp music has a very distinct, earthy, almost raucous sound to it. It’s very likely that people of the 1940s would still have been familiar this hymn.